Sports Talk Recruiting w Ryan & Glenn Stoutt, "Identifying Your Recruiting Gap"
#‎NEVERHADITSOGOODSPORTSRADIO? 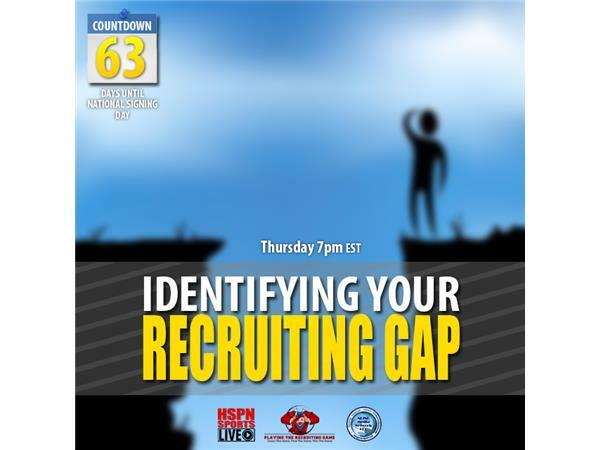 ?#‎SPORTSTALKRECRUITING?Radio Show 7pm Thursday Night 'IDENTIFYING YOUR RECRUITING GAP' Loaded With The Recruiting Tools You Need: Round #1 - Division 1 Or Bust!, Round #2 - Evaluating Yourself, Round #3 - PTRG Recruiting Gap Quiz, Round #4 - Division III Athletic Scholarships??? Make sure to be a part of the best discussion around about HS Recruiting.